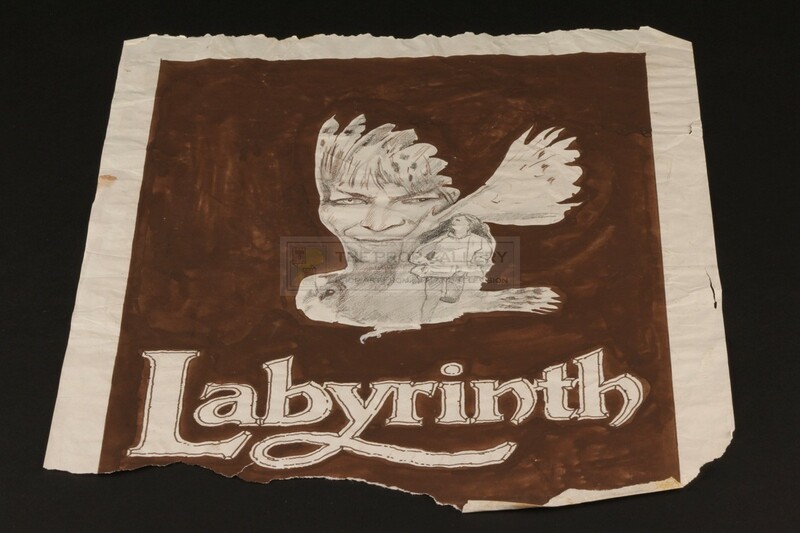 An original concept artwork from the production of Labyrinth, the 1986 fantasy picture starring David Bowie under the direction of Jim Henson. This is an original poster concept artwork designed, drawn and painted by conceptual designer and noted fantasy artist Brian Froud who collaborated closely with director Jim Henson throughout the production. 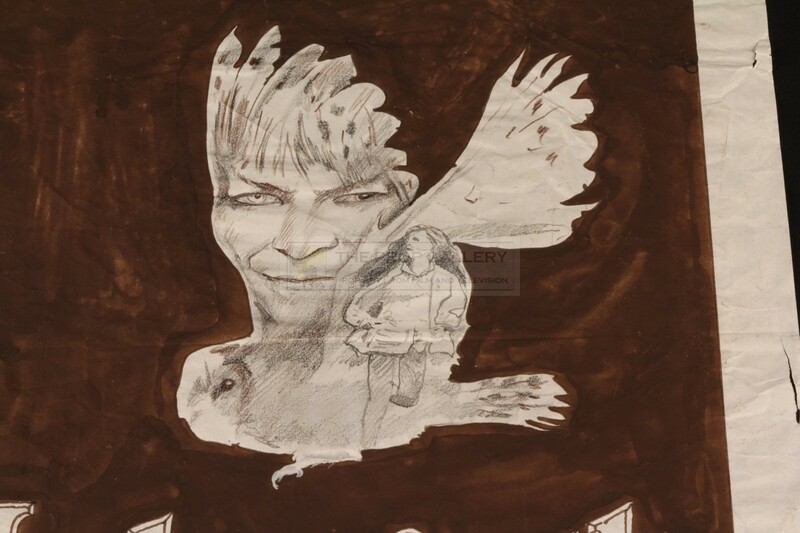 The concept is accomplished on paper in pencil and brown poster paint and features the movie logo in addition to the likeness of David Bowie as Jareth and Jennifer Connelly as Sarah contained within the outline of an owl, a nod to the climactic scene of the picture. 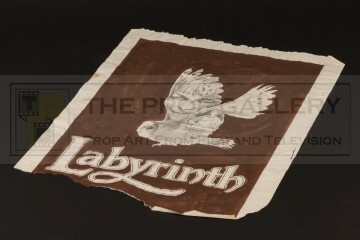 A rare example of an original artwork in Froud's hand who was undoubtedly one of the key talents involved in bringing this classic fantasy adventure to life. 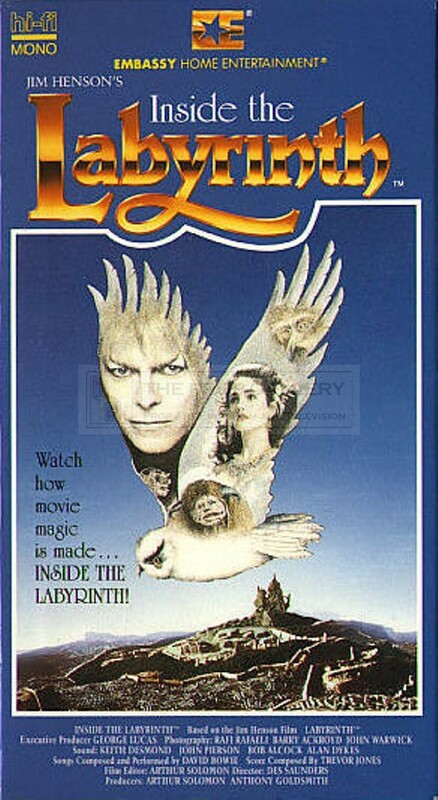 This design was ultimately not used on the poster to promote the movies release but a very similar concept was used on the front cover of the Inside the Labyrinth making of documentary released on VHS in 1987. The concept artwork measures approximately 16" x 11.5" and remains in good condition with some light staining, creasing and wear with a torn off piece to the bottom which does not compromise the artwork. This represents an incredibly rare and displayable example of original Brian Froud artwork from this highly regarded cult classic.